United State Patent (Grant No. 7,344,801). Zentric´s HVDE technology is based on the completely new and innovative concept of using dual electrolyte in batteries and fuel cells for obtaining higher working potential and power with the exclusive to the technology outlined in the recently awarded United State Patent (Grant No. 7,344,801). At Zentric we believe in saving the environment with advanced technologies. The emergence of the electric and hybrid/electric vehicle as the “car of the future” is one of our targeted industries. charged is an excellent fit for Zentric technology. Evaluate and characterize performance in dual electrolyte battery with a neutral salt buffer and separate ion selective membranes. Evaluate and characterize performance in dual electrolyte battery with proton exchange membrane separating an alkaline with a bulky cation. Investigate alternatives to the sulfuric acid/bipolar membrane/sodium hydroxide dual electrolyte configuration for lower costs and/or higher capacity. Investigate the configuration of acid/proton membrane/neutral salt buffer/alkaline membrane/alkaline. The rationale is that a pair of proton membrane plus alkaline membrane is cheaper than a bipolar membrane and the introduction of a neutral buffer section will increase capacity (but with additional volume). The evaluation of costs saving and capacity increase versus volume increase will determine the competitiveness of this approach. Investigate the configuration of acid/proton membrane/alkaline with a bulky cation. Comparison of results with those of the /lead acid electrode/acid/bipolar membrane/alkaline/metal hydride electrode and the existing commercially available single lead acid and metal hydride batteries. Comparison will be made in terms of energy density (per unit area, unit mass, and unit volume) and power density (per unit area, unit mass, and unit volume). Develop a prototype of a 12V five-cell dual electrolyte hybrid battery according to previous results and the results from stage 1. Design and test dual electrolyte-hybrid cell for capacity in multi-cell design and for reliability (life-time). To provide a design of a 5-cell serial battery with overall voltage > 12.0 V to replace an existing lead-acid 12 V battery. Depending on the results of the previous stage, The design will be made with one of the three configurations: i) lead acid electrode/acid/bipolar membrane/alkaline/nickel hydride electrode ii) lead acid electrode /acid/proton membrane/neutral buffer/alkaline membrane/alkaline/nickel hydride electrode iii) lead acid/acid/proton membrane/alkaline with bulky cations/nickel hydride electrode. 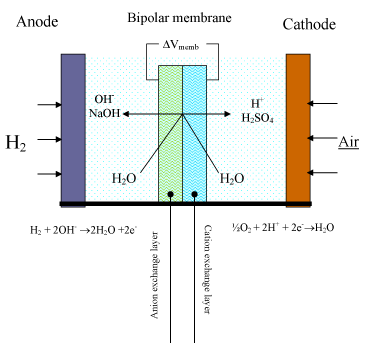 To increase the capacity of the previously proven capacity of 20 mA per cm2 x 4 hours at 2.45 V for the hybrid Pb-acid/Ni-MH cell; To develop the hybrid-cell with reversible performance in > 100 charge-discharge cycles; and To evaluate the applicability of dual-electrolyte cell for deep discharge, fast discharge, and rapid charging. A design of 5-cell battery with total voltage of 12.0 V. Results of charge/discharge cycles, energy density, power density, and life-time. PHOENIX, AZ — (Marketwire) – May 3, 2012 — Zentric, Inc. (OTCQB: ZNTR) William Tien, President of Zentric, Inc. is pleased to report that Zentric has acquired the solar panel inventory from its supplier in China that is required for its first two 800MW projects in North Carolina. The shipment will arrive in the United States by the end of May so construction can begin shortly thereafter. Construction should be completed by the end of August and the solar power plants operational by the end of 2012. Zentric, Inc. entered into an Agreement to purchase Innovative Solar I LLC and Innovative Solar II, LLC, each the owner/developer of separate 800KW solar power plants in Leicester, North Carolina valued at $4 million each to build. Each 800KW solar farm will be situated on 5 acres of leased land and will contain approximately 3,500 solar photovoltaic panels.